The American artist Elaine Sturtevant died two weeks ago in Paris, France – an event never to be copied, never to be reproduced and always to remain a unique and unprecedented event. 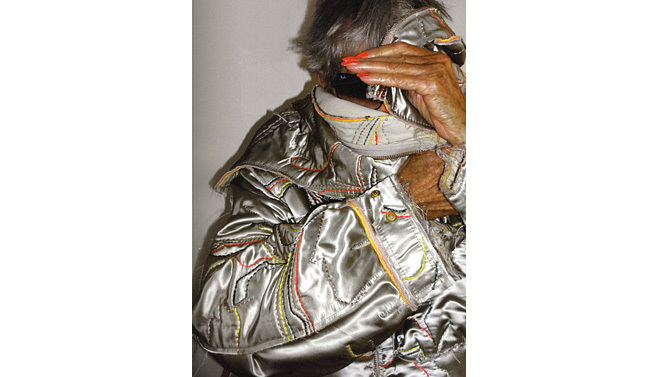 Sturtevant spent her time as an artist famously re-presenting famous works of art by famous (mostly) male artists. She appropriated before Barthes, Foucault, Deleuze, Millet, Greer and every other art student ever had the discussion. Her practice of copying started during the time of Pop Art and Abstract Expressionism in the 60s. These movements were mostly focused on the surface of the painting, so she decided to explore the understructure of art – or what lies beneath and makes it art. Her work was ridiculed at first, though artists may have been flattered by the gesture. Robert Rauschenberg even commissioned her to recreate a small Jasper Johns flags that had been stolen off of one of his combines. Legend has it that when Andy Warhol was asked incessantly about his process and technique, he simply responded, “I don’t know, ask Elaine.” Not everyone was pleased with her brave art – the dealer Leo Castelli bought her work and destroyed it to keep the market clear of it. Sturtevant had a pleasant stretch of making these works for over a decade; along with the paintings of Warhol, Stella and Lichtenstein there were replications of performance work by Joseph Beuys and installations of Marcel Duchamp’s urinals and windows. Sadly in 1975 the reaction to her work turned sour, and she slowly stopped making work. Copies and appropriation are heady topics in contemporary art. “Appropriation” is the triple salchow of mental gymnastics for art theorists and enthusiasts. So heady that when I once took a Fragonard painting, copied it and replaced the Pierrot’s face with a soldier’s face my mentors (much brighter than I) reminded me that this was appropriation, and that I must be very careful with doing this. That’s code for – unless you have a really strong thread of doing this in your work or a reason – don’t go there. Sturtevant courageously did this for years, and at 81 received a lifetime achievement Golden Lion at the Venice Biennale in 2011. Impressive all around, and I’m most pleased with her writings about her work. She wrote about her work for years because, as she said it, “No one else was going to.” Makes perfect sense, and takes the thought of having your worked “reviewed” and pitches it out the window. A good practice for any artist, whether or not you are copying other artist’s work. In reality most artists now do this copying unconsciously. Her practice beginning almost 60 years ago was an incredibly prescient gesture predicting the future that is now. Artists are getting famous off of their books that just repeat what other people have said before. If you go to any gallery one could peel back the veneer of the “exhibit”, and see that the artist has repeated/stolen from other artists. It’s all part of the process. Sturtevant’s work is easily misinterpreted. What I do know is the work is not about copyright or homages, it’s simply about repetition. Sturtevant’s work was a powerful exploration of repetition, copyright as myth and getting to the bottom of the pressing question in this century, what is art? A very good question to ponder indeed….